The BB Training’s history goes back over 35 years, when three couples, all involved in care and education, decided to take matters into their own hands after they were left frustrated by the lack of quality childcare available for their children. Since the first Busy Bees nursery was opened in 1983, Busy Bees has grown to become the leading provider of childcare in the UK thanks to it dedicated team of childcare professionals, many of whom have developed their knowledge and passion through the BB Training programmes. BB Training was then simply a training department operating within the childcare provider, was originally designed as a training and recruitment programme to ensure that Busy Bees were given the best possible chance of obtaining an ever-increasing pipeline of talent. Busy Bees is proud to say that much consideration has always been given to attitude, passion and commitment rather than just academic attainment when recruiting individuals to join their team of experts, and so quality training provision has always played a vital part in helping to nurture this natural talent. We have been delivering apprenticeships since 2003 and, due to the success we achieved through our in-house offering with Busy Bees, in 2013 we launched BB Training, an independent training company that offers apprenticeships and short courses to employers and care professionals throughout the UK. Today, we deliver over 70 apprenticeships, accredited courses and CPD programmes to over 2500 learners across the country, boasting a 90 per cent success rate. We work with over 500 employers from within childcare, catering, residential care, clinical care and management and have helped them to upskill 4000 employees so far. In 2017 we were rated Outstanding by Ofsted, as well as receiving national awards including the Princess Royal Training Award, the North West National Apprenticeship Awards 2017, the Centrica Top 100 Apprenticeship Employers and the ultimate, Queen’s Award through our partnership with Busy Bees. Having launched our clinical care training programmes in 2018, we have extensive plans for growth and are looking forward to developing BB Training even further in the near future to improve the outcomes for those we support through our award-winning training programmes. Our team will guarantee a unique and enjoyable learning experience in a friendly atmosphere. 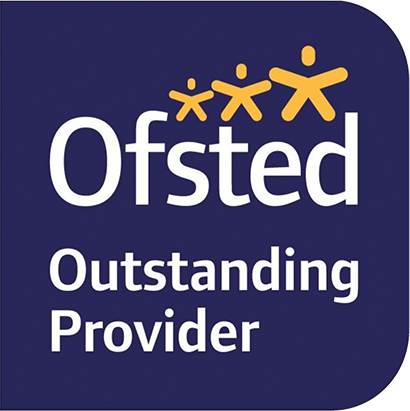 We are committed to delivering high quality training to practitioners who are at various points in their career to ensure that they build upon their knowledge and skills to deliver high quality childcare and a successful setting.